Is Pain a Bad Thing? 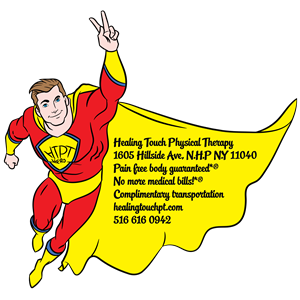 ​Welcome to Healing Touch Physical Therapy where your pain will be reduced in just 1 to 2 VISITS! Do you have any pain that just doesn't seem to get any better? No matter what you try, we want you! No matter how acute or chronic the pain is, most patients with mechanical pain will see results in 1 to 2 VISITS! We urge you to try us before undergoing any kind of surgical procedures related to disc lesions. We can show dramatic results. Just try us and let the results speak for itself. Thank you for visiting us! We have deep appreciation for visiting us therefore we like to send you Free detailed Report and a brief video- "The Patient's Guide to Understanding Insurance". SECRETS revealed: Will Physical Therapy Help Me Live Pain Free? You should be coming in for one reason and one reason only. ​no matter how big they are. You are educated and motivated, otherwise you wouldn't be reading this therefore we are determined to help you. We understand you have many choices when it comes to Physical Therapy; but if you want pain free body* then your search is ending and our work is beginning to make you pain free*.